Learn more about our product lines. 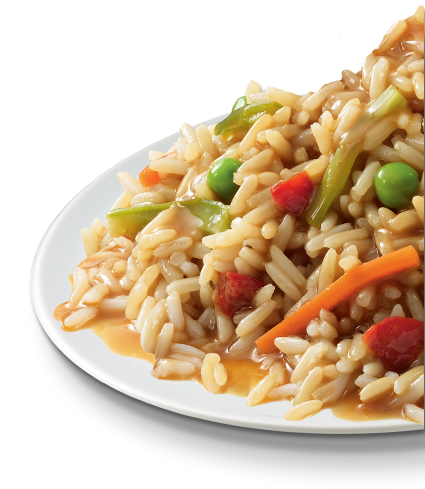 Seasoned long grain rice, Asian-inspired sauce and a colorful, crispy array of onions, green beans, peas, peppers, carrots and water chestnuts. 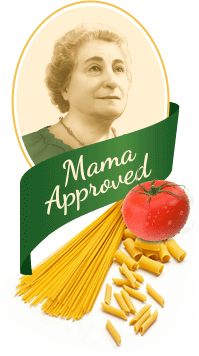 When she immigrated to America from Italy, Mama Michelina brought with her a wealth of family recipes and a passion for cooking. You can taste it in the quality of our ingredients and authenticity of our flavors, and see it in our strong commitment to value. INGREDIENTS: COOKED LONG GRAIN RICE, ONIONS, WATER, GREEN BEANS, PEAS, CANOLA OIL, RENDERED CHICKEN FAT, LESS THAN 2% OF SOY SAUCE (WATER, WHEAT, SOYBEANS, SALT, ALCOHOL, VINEGAR AND LACTIC ACID), RED BELL PEPPERS, CARROTS, BEEF STOCK (CONCENTRATED BEEF STOCK, YEAST EXTRACT, SALT, CORN OIL), WATER CHESTNUTS, BEEF FLAVOR (HYDROLYZED SOY PROTEIN, SALT, BEEF FLAVOR [BEEF STOCK AND BEEF, YEAST EXTRACT, MALTODEXTRIN], BEEF EXTRACT, CHICKEN FAT, YEAST EXTRACT, ONION POWDER, GARLIC POWDER, SPICE EXTRACTIVES), SALT, SOY LECITHIN, GRANULATED SUGAR, XANTHAN GUM, GARLIC (WITH WATER AND CITRIC ACID), SESAME OIL, SPICE. Distributed by: Bellisio Foods, Inc., Duluth, MN 55802 U.S.A. I agree to these terms & conditions. Try expanding your search radius, or look for retailers using a different ZIP Code. Michelina’s® is committed to creating and improving our web content in order to be accessible to all individuals. If you would like to let us know how our site can be improved to be more accessible, please contact us at 1-800-446-5469.